You’ve decided to build a custom home in North Texas. Whether you’re just getting started or you’re well on the way, there are plenty of factors to consider before you start building your dream home. Here are some dos and don’ts for where and how to build your new custom-designed home in North Texas. We all know that location is king in real estate. But it’s not just about being in the right place at the right time. It’s about being in the right place now – and in the future. Selecting a lot for your new home is partly about predicting what’s to come for the area. Research current and existing amenities such as schools, transit, recreation, retail and dining. The quality, density and proximity of these will influence the desirability of your lot now and in years to come. So too will the major local employers, who can heavily impact the appeal of an area. But do be cautious about extrapolating too far out. The future isn’t here yet, and weighting your decision too heavily around growth projections or anticipated proposals can backfire. Growth targets can fall short, and not all proposals will go ahead. Ensure that your decision takes into account current conditions as well. And don’t forget to check local county taxes or HOA fees. Moving a block east or west could mean a big difference in what you’ll be required to pony up. Once you’ve determined that a particular area is right for you, you’ll need to get a little more granular. Your lot needs to be suitable for the design you have in mind – and the lifestyle you plan on leading. Wide blocks can allow for additional privacy, especially for multi-story homes, while elevated blocks can offer fantastic views. Corner lots usually mean more yard, but also more traffic, while steep or irregularly shaped lots limit landscaping and building options. A home on a cul-de-sac can offer peace of mind for families with young children, while a house on shop-lined through-roads can appeal to couples. The position of the lot will also affect the sunlight you get. Do you want to be able to sunbathe on the patio, or protect your garden from the North Texas heat? While you may be building your “forever” home, bear in mind that today’s average homeowner moves every 8 years. That means that resale value is something to consider. The size, shape and slope of your lot, the overall location, and the ability to add additional features or landscaping are all things to keep in mind. A quiet setting can add value, while a nearby busy road can reduce it – and so can a nearby vacant block, which poses “unknowns” for future buyers. Safety, accessibility and utilities are additional key considerations. Obviously, the structure itself will be a factor here, too. A highly on-trend or idiosyncratic home can date or may appeal only to a very niche market, so bear that in mind when you build. Doing your research upfront can save headaches in the future. Check that your lot is zoned appropriately, is buildable and isn’t at risk of flooding or other natural disasters. You’ll also want to ensure that it’s free of liens, covenants and other restrictions. Next up, assess the block for soil issues, potential toxicity and access to existing utilities. Will you need to pay to have a driveway, electricity and sewage installed? Are there trees that need to be felled, fire risks that need to be mitigated, or chemicals that need to be cleaned up? Are there any easements or outcroppings that will limit the buildable area? Local rules can halt progress on your dream home, so know what you’re getting into before you get too far into the process. If you’re building in a subdivision, research the status of the development and school yourself on any restrictions or regulations. Consider the properties that have already been built and whether they fit with your personal aesthetic and outlook. Determine whether only certain types or sizes of properties are permitted, and whether there are requirements in terms of landscaping, fencing, setbacks and adding additional dwellings such as a detached garage, shed or shop. If the subdivision is new, ask to see any existing building proposals to get an idea of what it might look like in future. And don’t overbuild – being the most expensive house on the street makes it tough to get your money back. Now that you’ve found your ideal lot, the fun part begins: designing the home of your dreams. At the end of the day building a custom home is about building something tailored to your specific, individual needs. How you plan to live in your home is the most important factor to consider. Do you want to entertain on the deck, or cook multi-course, gourmet meals? Do you work from home, or are you barely around? Are you a reader, or is a media room more your thing? Do you have young kids, or do you care for older family members? Do you blast the air-conditioning all day, or do you prefer to spend time in the pool? How long do you intend to stay in the house, and how do you think your lifestyle will change? All of these factors will help determine the layout, features and finishes that are right for you. For example, separate zones can offer space for individual family members to spread out, while communal areas can bring them together. Hardwood flooring works for adult-only households, but tiling may work better where kids or pets are involved. Stairs are fine for younger adults, but older residents may want to consider single-story living. Air-conditioning may be a must-have, but solar panels can help offset the costs of staying cool throughout our North Texas summers. Finally, don’t forget to consider the cost of trends. While it’s tempting to keep up with the latest and greatest, trends are necessarily short-lived. But that doesn’t mean that you have to opt for endless beige or nothing but neutrals. 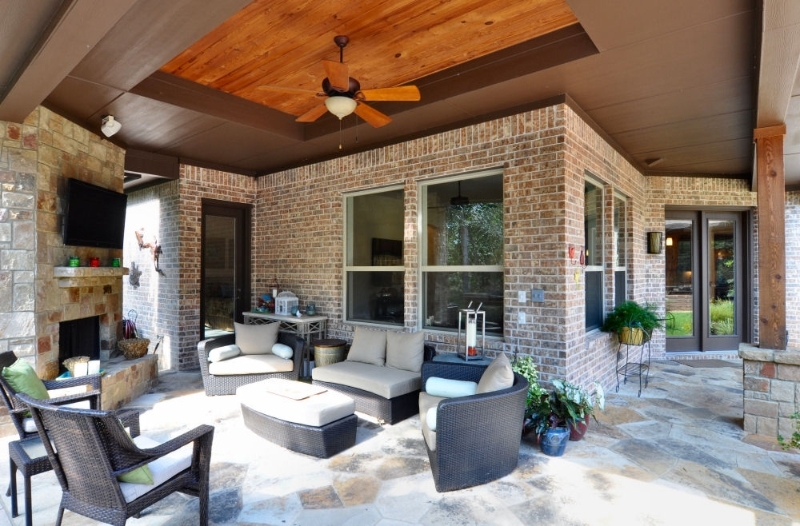 The best option is to go with what personally appeals to you – it’s your home, after all. Building a custom home is a significant undertaking – so don’t trust just anyone with the job. Look for local builders with experience in the kind of project you have in mind. Get in touch with them to ensure that you have a similar vision and goals, and see whether they can help you bring those to fruition. After all, you’re not just building a house – you’re building a home. 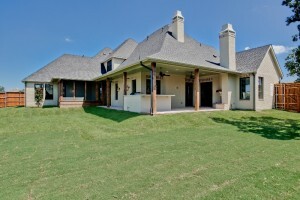 Sterling Brook Custom Homes is a North Texas builder with more than 25 years of experience. Our primary goal is getting our clients into their dream home, where they will enjoy living. Contact us for more information or to discuss your custom build.